CFD trading is for retail traders. 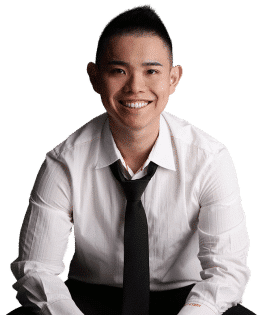 You get access to markets usually reserved for institutional traders and you have a wide variety of markets to trade from. Just because you have more opportunities doesn’t mean you’ll make more money. Because when it comes to CFD trading, you must open your eyes and know what you’re dealing with. So in today’s post, I’m going all in on CFD trading (the good, the bad, and the ugly). How much money do you need to start CFD trading? CFD for beginners: What is it and how does it work? CFD stands for Contract for Difference and it allows you to buy/sell financial instruments without owning the underlying asset. Instead of buying Apple shares, you can buy the CFD on Apple. Most CFD providers are the market maker. This means they create a market by taking the opposite side of your trade. It’s just their business model. Most retail traders buy/sell in small quantities, and it’s not large enough to be traded in the real market. Thus, a Market Maker (MM) broker fills this demand by creating a synthetic market for smaller traders. Unlike stock trading, CFD offers a number of benefits you can’t get elsewhere. It’s difficult to short a stock outright due to regulations. But with CFD, you can do it easily. This means you can hedge your positions in bad times and even profit from the market collapse. CFD is a leveraged instrument. This means you can control a larger position size with small trading capital. If a stock requires 10% margin and you have $1000 trading account, you can buy up to $10,000 worth of stock. Note: Leverage is a double-edged sword. The returns are higher but so is the risk. CFD trading is a convenient one-stop shop for you. All these different markets in one trading account. Compared to stocks, CFDs are riskier because it’s a leveraged instrument. Unlike stocks which are traded on an exchange, CFDs are traded against the broker. This means if your broker goes under, everything goes along with it. You don’t get back your money, your stocks, or anything. Now I don’t want to be a fear monger, but the possibility is there, albeit slim if you know how to find a good broker (more on that later). 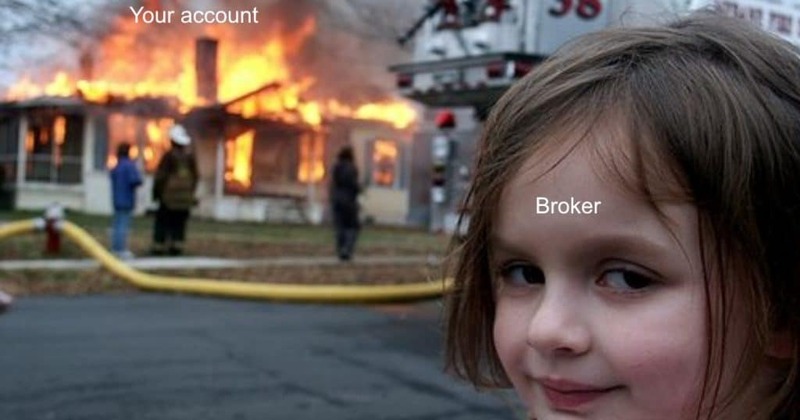 Your broker is not stupid. It requires you to put up the margin to cover your potential losses. However, there are times the market moves too fast and you lose all your capital — and more. If that happens, you must repay back what you owe to your broker. Note: This applies not only to CFD trading but to all leveraged products. You bought $10,000 worth of Crude Oil at a margin of 20%. So, you need at least $2,000 in your CFD account. But during volatile periods, your broker might raise the margin to 40%. This means you must inject more capital to hold the $10,000 position. If not, your position will be closed out partially or fully (to meet the margin requirements). There might be price discrepancy when CFD trading, especially if your broker is a market maker. The stock exchange might show $100 per share for Apple. But the CFD broker would show $101 instead. This means you might get stopped out on trades which wouldn’t be the case if it’s traded on an exchange. You’ll discover the costs of CFD trading you’re probably not aware of. This is a fixed transaction cost that you have to pay for opening and/or closing your trade. It’s usually a percentage of your trade or a minimum amount of money, perhaps $10 or $20. Direct Market Access (DMA) CFD brokers tend to charge a slightly higher commission rate than Market Maker (MM) CFD brokers. The spread is the difference between the bid and ask price — and that’s a cost. For example, Apple has an ask price of $100 and a bid price of $99. This means if you want to buy Apple right now, it cost you $100. And if you want to sell it right now, you’ll get $99. That’s a spread of $1 — which is a cost to you. Pro Tip: Stay away from low liquidity markets as the spread tends to be large. This is a financing charge to your account for each day you hold a position. Let’s say you $1,000 in your account and you borrow $9,000 from your broker so you can buy $10,000 worth of stock. Interest is charged on the $9,000 you borrowed. If you want to know the exact cost, go check with your CFD broker. You’re charged a monthly fee for accessing price data (especially for international markets). But if you trade often, your broker could waive the fee. I recommend you start with a minimum of $20,000. Trading fees are about $20 per trade (including buy and sell). Your transaction cost is about 0.1% on every trade (20/20,000). So, if you take 50 trades per year, you’re looking at a total transaction cost of 5% (0.01 * 50) a year. This means if you want to breakeven, you must earn 5% a year. And what if your account is smaller than $20,000? On a $10,000 account, you need 10% to breakeven. On a $5000 account, you need 20% to breakeven. On a $2000 account, you need 50% to breakeven. So if you want to give yourself the best chance of success, you must have a minimum account size of $20,000 (or more). I don’t want to openly recommend any brokers because I’ve no idea what goes on behind the scenes. And I don’t want you to lose your hard earned money because I recommended the wrong thing. Is the support service good? Does it have the platform you want? Does it have the markets you want? If you want more details on it, go read How to Choose a Good Broker So You Don’t Get Scammed. Most investors have a holding period of years. But remember, CFD incurs a holding cost every day, and this eats into your return. If your CFD trade turns out to be a bummer, you suffer even more losses. CFD is a leveraged instrument and you could lose more than your deposit. So for new traders, I recommend studying risk management first before anything else. You can take on the opposite side of your trades and thereby reduce the volatility of your portfolio. Unlike stocks, CFD allows you to short stocks with little to no restriction. This is useful if you want to trade different types of markets like Futures, Forex, Stocks, etc. What’s your take on CFD trading? I’m using Tradenet 6k account they give you $120,000 to trade with, but it seems like my orders are being manipulated so they can make money from the market. Honestly if I get to choose again I wouldn’t throw away that money. Can you explain to me what the term ” drawdown” means. I have a £5000 account and recently got stopped out because of my drawdown. I’ve no idea what they meant. If you don’t know what is a “drawdown” STOP trading and learn a fair bit more. You will lose ALL your money! If you have an account of 100k and it drops down to 80k, it’s a drawdown of 20%. Your drawdown is calculated from the peak of your equity to the lows (the percentage decline).